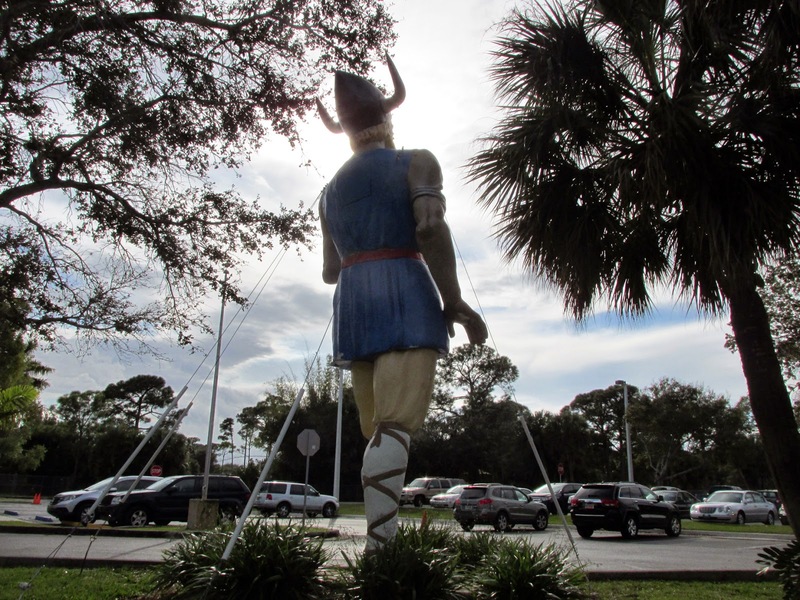 For forty some-odd years, the Jensen Beach Elementary School, in the mid-eastern Florida coast town of Jensen Beach, has had an 18-foot fiberglass Viking warrior standing watch outside their front door. 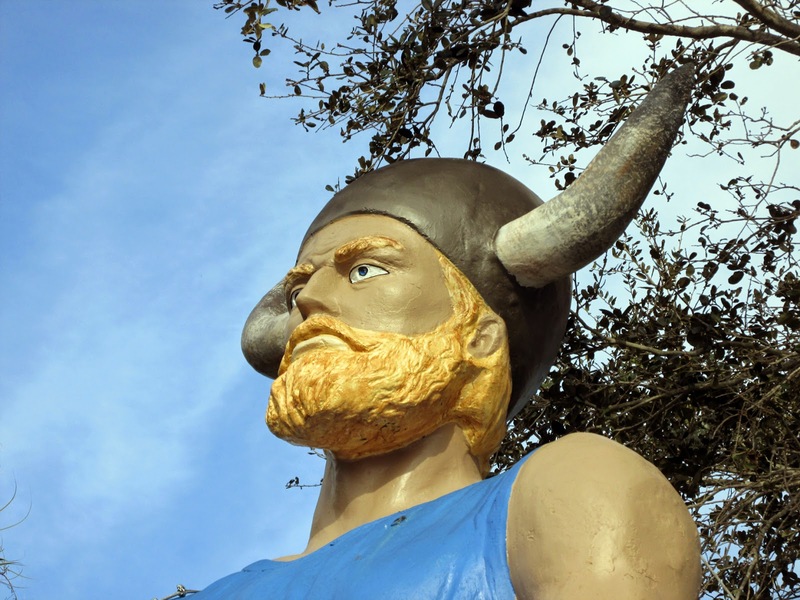 Jenguard, as he's known, has survived hurricanes and vandalism and stands looking every bit the ferocious Norseman, what with his horned helmet, blond beard and locks, blue tunic and yellow tights. 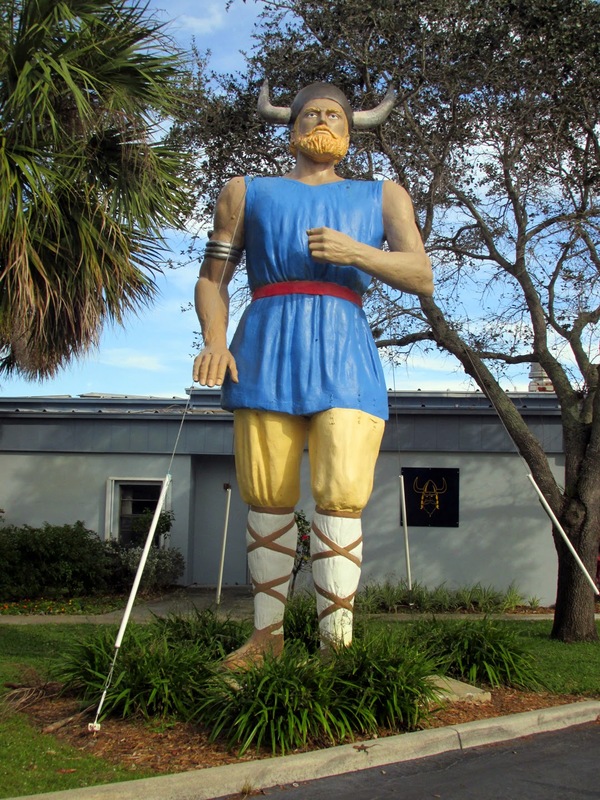 And being a European visiting Florida, he's also wearing white tube socks with his calf-strap sandals. 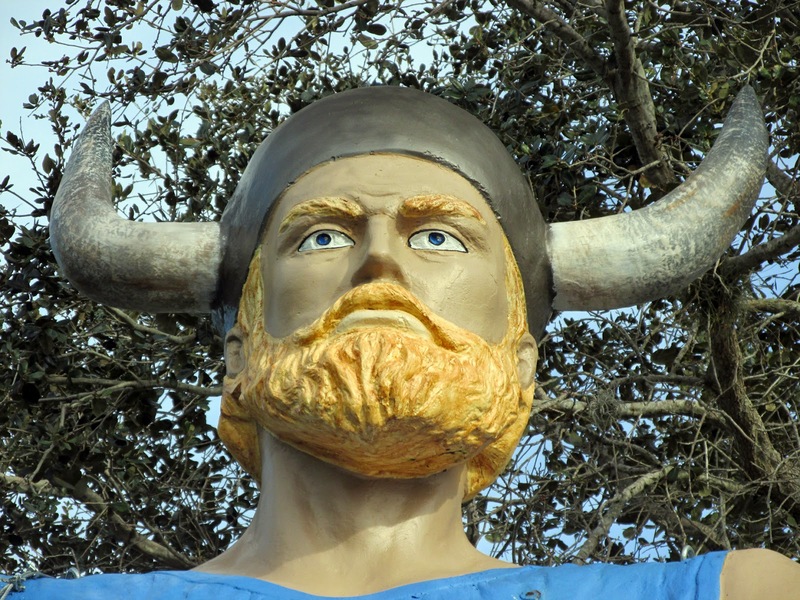 He started out as an employee of the Viking Carpet chain back in the 1960s. 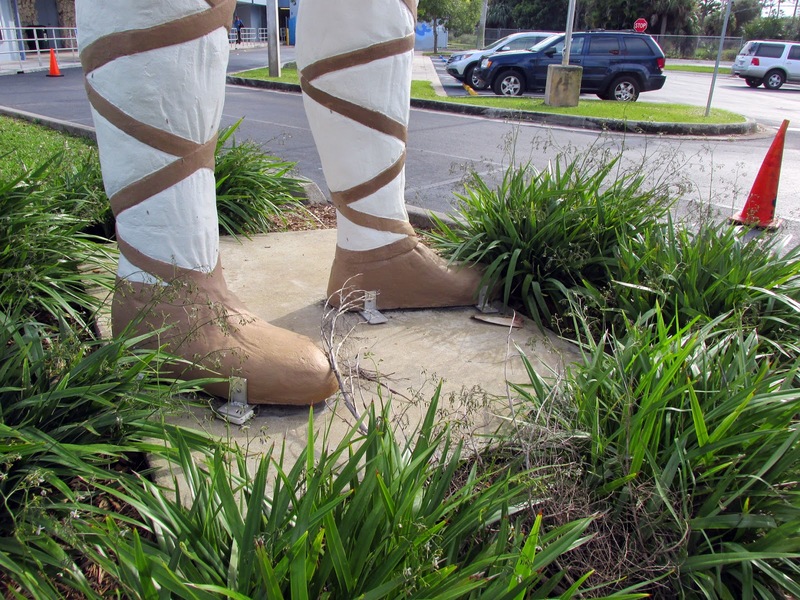 Back then, they used these longboating behemoths as eye-catching barkers for their flooring emporiums along the open road. 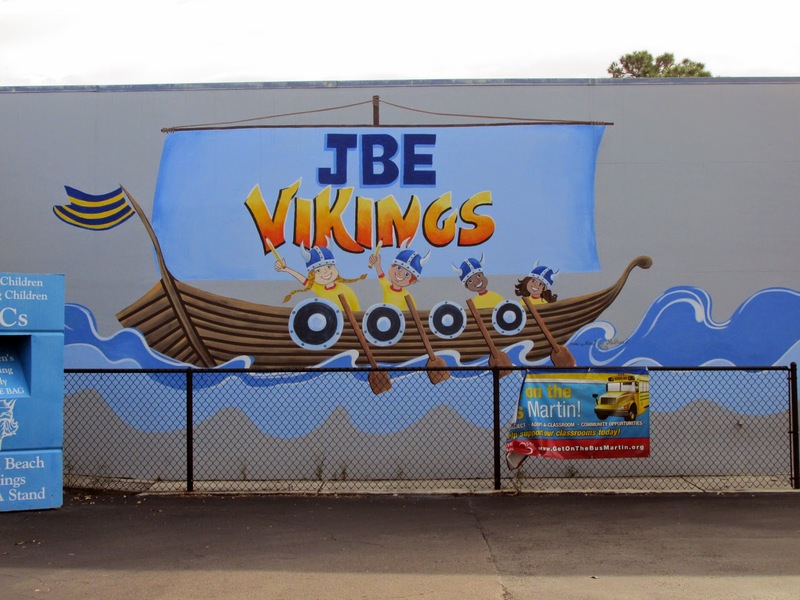 Nowadays, the surviving statues appear mostly as Viking mascots in front of schools much like Jensen Elementary. 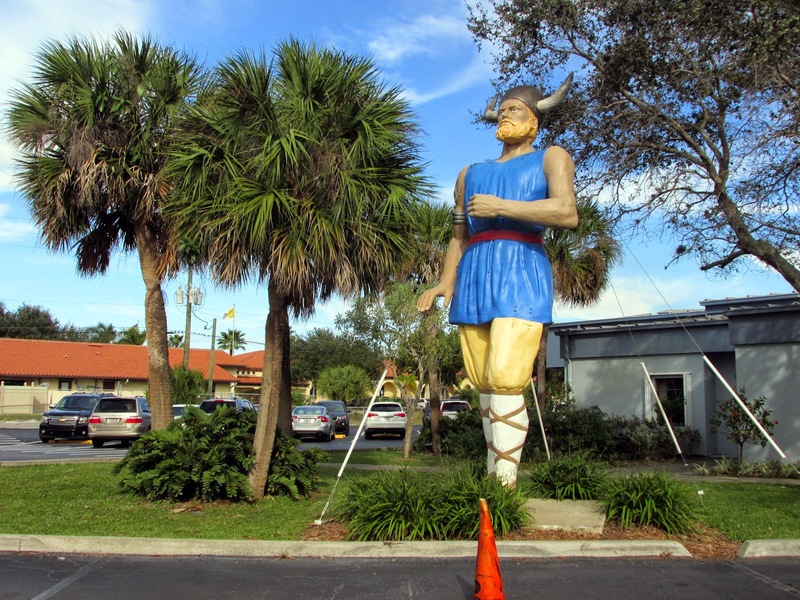 You can get the whole saga here from road scholar Debra Jane Seltzer on her indispensable roadside architecture website. 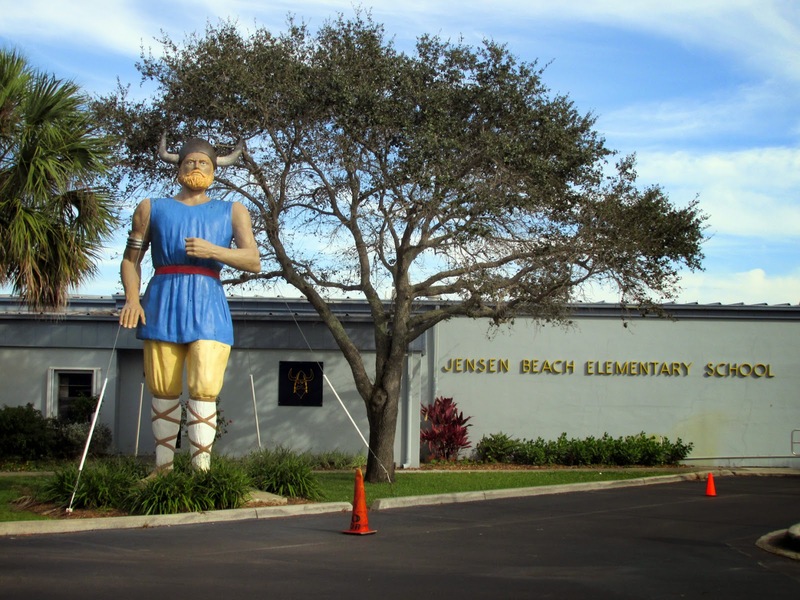 And even though this is Florida and Vikings weren't known to winter or even summer here, Jenguard seems appropriate because Jensen Beach is named after John Laurence Jensen, an immigrant from Denmark who set up a pineapple plantation here in 1881. 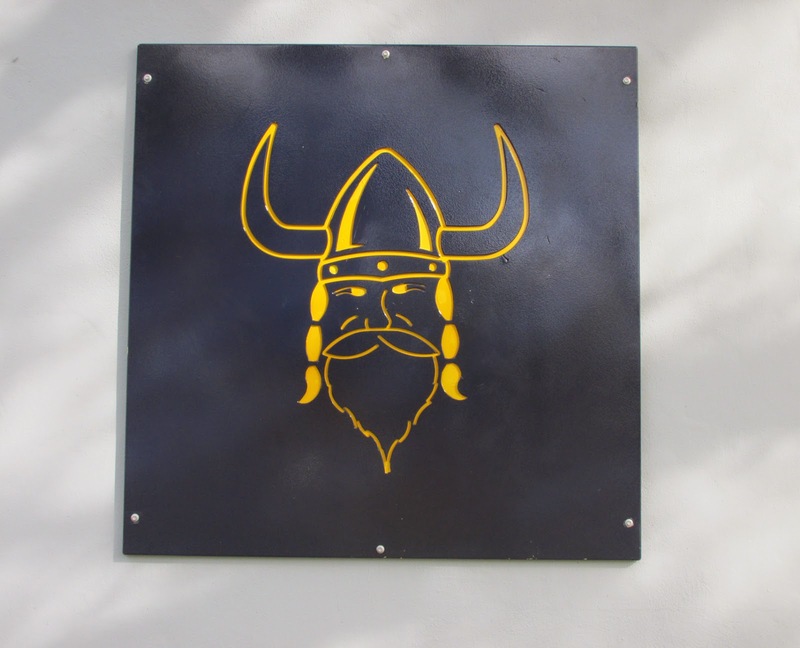 May the Norse be with you.